I'm addicted to my Erin Condren planner and also to decorating it but I'm poor (:cry) so I bought a silhouette portrait and I've been designing my own stickers and cutting them myself. I was wonder if there are other people here that are addicted to planning/decorating as well and if anyone else also creates their own stickers and if anyone would be willing to swap files just for fun! I got a Kate Spade planner for Christmas and I really want to make better use of it than I am! Especially when I'm going to be working from home I really need to stay on top of everything. All the stickers and decorating and paperclips and doodles is a little much for me but I've joined some sites and done some looking around and I definitely got some good ideas. I have tons of different colored highlighters and sticky tabs and I think I can make a good system (home vs. work, priority, etc.) to help me. Maybe when I get it going I'll post a few pics but for now it's pretty much just bullet lists. 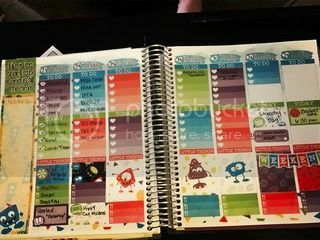 I have a MAMBI Happy Planner and I'm obsessed. Idk if you use washi but DH got me some duplicates for Christmas I could probably send you? I need to inventory my stuff haha. I haven't seen the Kate Spade, I've heard good things about it though!! It's ridiculous how many different pens and highlighters etc that I have for my planner but I'm now stuck on the Pilot G-2 in black because it's the most fluid to write with and it's dark. I do use washi but don't have a ton let me know what you've got/what you need and maybe we can do an exchange! ...and here I thought using different colors was fancy. 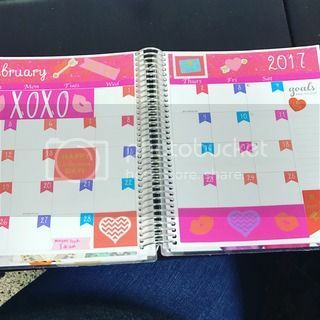 One of my friends is on the ideas board for MAMBI so she has so much awesome Planner stuff on her Instagram! I love doing Planner nights with her she gets tons of free stuff from them to test it is AWESOME.